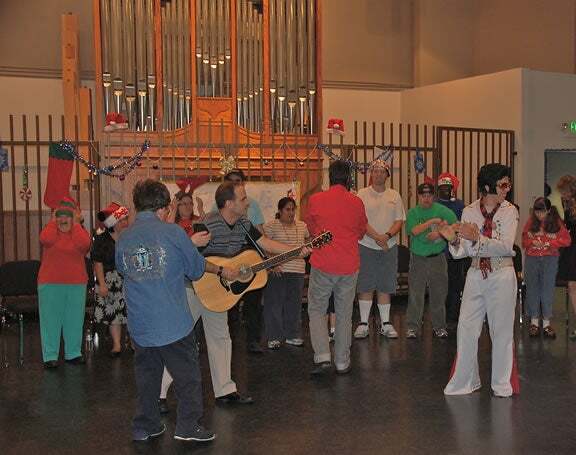 The Music Therapy Wellness Clinic provides individually designed music activities for children and adults with disabilities and special challenges, including autism, developmental delay, physical, mental and emotional disorders, and learning disabilities. Music therapy is a field that uses music in a prescribed manner as a treatment for rehabilitating, maintaining, and improving the lives of persons with physical, intellectual and emotional disabilities. Music Therapy is a creative arts therapy similar to others such as Art, Dance, and Drama Therapy. It is, however, unique in that music provides an accessible and enjoyable medium for growth and learning. It is a healing art, based on scientific principles and grounded in research. The Music Therapy Wellness Clinic is dedicated to creating an environment where an individual with special challenges can acquire necessary life skills through the unique, creative and enjoyable medium of music. Our therapists are internationally recognized and encompass a range of techniques and areas of expertise. Our entire treatment team is dedicated to creating the opportunity for each participant to express his or her true creative essence while gaining needed skills and enhancing self-esteem. The Music Therapy Wellness Clinic is a teaching clinic for the CSUN Music Therapy Department. As such, all sessions are utilized for student observation and learning and are part of the educational process for future music therapists. The Music Therapy Wellness Clinic provides individual and group sessions conducted by a highly trained and experienced Music Therapist. A variety of instruments are used, including piano, guitar, percussion, autoharp, recorder, electronic instruments, harmonica, and voice. 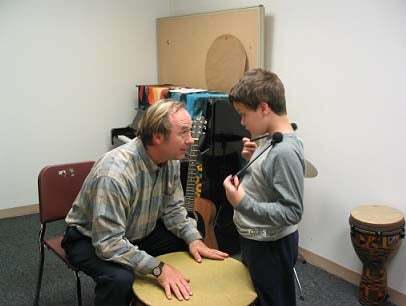 Ron Borczon, MT-BC, founded the Music Therapy Department at California State University, Northridge in 1984. After more than 25 years, he remains director of the program, one of only two in the State of California. He also instructs classical guitar at the university. Mr. Borczon holds a M.M. degree from the University of Southwestern Louisiana, a B.M. in Music Therapy and a B.A. in Music with an emphasis on performance, from Florida State University. 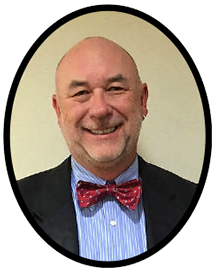 Ron has been recognized internationally for his innovative approach with victims of traumatic events and has been honored by the American Music Therapy Association, as well as the Western Region American Music Therapy Association. He is the author of Music Therapy Group Vignettes and Music Therapy Fieldwork Primer. Ron has served as Director of the Music Therapy Program since 1984 and Director of the Clinic since 1996. Julie Berghofer has worked at the CSUN Music Therapy Wellness Clinic since 1996. 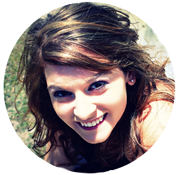 Julie received her musical education, music therapy training and teaching credential from London, England. She has experience as a clinician, consultant, teacher, supervisor and external examiner in the UK and USA. In 2003, Julie was awarded the Professional Practice Award from the Western Region American Music Therapy Association for her continued contribution to the profession. She is one of the authors of the IMTAP – the ‘Individualized Music Therapy Assessment Profile’ published by JKP, and used internationally by colleges and clinicians. Julie uses the Creative Music Therapy approach, developed by Paul Nordoff and Clive Robbins. She participates in introductory training and demonstration of clinical improvisation techniques. Julie continues to be inspired by her clients, and aspires to enable each individual to reach their full potential. 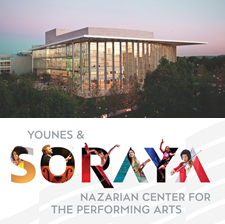 Yessenia Gonzalez, MSW, is a graduate from the Music TherapyProgram at California State University, Northridge and a graduate from the Master's in Social Work program at USC. Yessenia completed her clinical internship at Fairview DevelopmentalCenter, in Costa Mesa California where she worked with adults with developmental disabilities to provide quality service that meet individual needs and promote self-determination and independence. 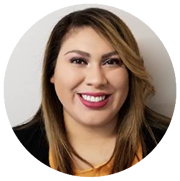 She began her work experience at the CSUN MTWC in 2014, working with a wide variety of clients, in both individual and group settings. Through the implementation and integration of technology, she is able to meet the needs of her clients. Her clinical training as a social worker has focused on children and families, and consisted of work in schools and non-profits. Along with her current work at CSUN, Yessenia works inMental Health and uses music to connect with her clients. 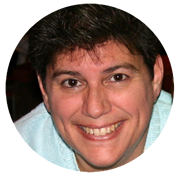 Nikki Brown is a board certified music therapist originally fromTampa, Florida. Nikki received her Music Therapy degree fromFlorida State University (go Noles!) with a minor in psychology and a certificate in music in special education. Nikki completed her music therapy internship at Tallahassee Memorial BehaviorHealth Center, where she worked with adolescents and adults incrisis. 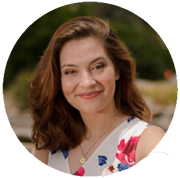 Nikki has worked with all ages and has a certification inNICU Music therapy as well as Sound birthing music therapy.Nikki has a passion for seeing how music therapy is practiced indifferent countries and has traveled and met with music therapist practicing internationally. Judy Langdon is a graduate from the Music Therapy Program atCalifornia State University Northridge. Judy completed her clinical internship at Professional Child Development Associates in Pasadena, California, where she also received training inDIR®/Floortime™, a relationship-based therapy model. During her internship, Judy supported children, teens, and young adult clients with various disabilities to meet individual needs and promote social-emotional development. Judy has utilized her music therapy expertise and techniques to facilitate sessions at teen rehab centers and camps. 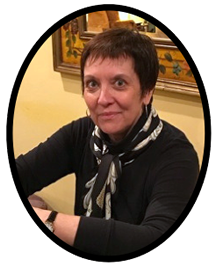 Debbie Sipos is a board certified music therapist, with a specialty certificate in neurologic music therapy, and a music educator, teaching in various school districts and in charter schools since 1995. She is also a private music instructor for typical students as well as those with special needs. Debbie received her SEA certification from the UCLArts and HealingProgram. Debbie completed her clinical fieldwork and internship at Aegis Assisted Living, and graduated with her 2nd BA inMusic Therapy from CSUN. Debbie also has a private music therapy practice in Thousand Oaks, CA. The Rising Star choir is a unique musical experience geared toward children with Autism. The choir sings music of different styles as well as music that the choir members compose individually in addition to music composed as a group. During the rehearsals, non-music goals such as socialization, self-esteem, attention to task and the creative process are considered and structured for by the Music Therapist. Currently, the choir participates in two performances yearly, one in December and the other in May. Funding from the Rising Star Music Fund provides the tuition for all participants so that there is no cost to the family. The choir generally meets on Saturday afternoons. If interested in more information on the choir, please contact the clinic. The Sunshine Singers is a music therapy group whose approach is based upon the naturally inherent therapeutic situations that result from learning, rehearsing, and performing as a choir. Choir members are young adults with a wide array of challenges. Each individual is encouraged to share their unique voice, and when all these voices come together, the Sunshine Singers shine. Despite the differences between the individual members who make up the choir, each and every one embarks on a journey of creative collaboration. The infectious joy of this process is then shared with an audience, who walk away touched by the music of these performers. The cost of the Sunshine Singers is $50.00 per month. The Sunshine Singers Holiday Concert performing at CSUN. Thank you to Dr. Ami Belli for your generous contribution of $20,000 in memory of your husband Remo Belli. These funds will enable clients who cannot afford music therapy the ability to attend the clinic as well as a scholarship for a music therapy student pursuing the Bachelor of Arts in Music Therapy.